Why is my valid email address required for Wacktrap registration and use? We’ve gotta be able to reach you when necessary. When you first register, we need to verify that you're human and not a bot. More importantly, there are times when you're gonna need to hear from us. Important stuff, like delivery of Wacktrap member notifications, account password resets for forgotten passwords, responses to questions sent via the Contact Wacktrap webform, and other stuff we need to send your way. My free Wacktrap Account isn't a trial membership is it? What you see is what you get, and that’s not changin'-we promise, it will only get better and better. Can I change my Wacktrap username? Not appreciating who you are after all this time? Assisting in an identity crisis is not our forte. If you’re up in arms, sure you want to be someone else, rest assured we have our reasons for askin' you to stay the same. My Wacktrap password and username are case-sensitive? Yes, both your Wacktrap username and password are case-sensitive. Why is that so important? If you've used a cap in your password or username, you've gotta be usin' that cap in the exact same spot or you won't be gettin' in to your account anytime soon. How do I choose my Wacktrap username? It's with you for the long-term, so choose a Wacktrap username you won’t forget. Who can post on Wacktrap? 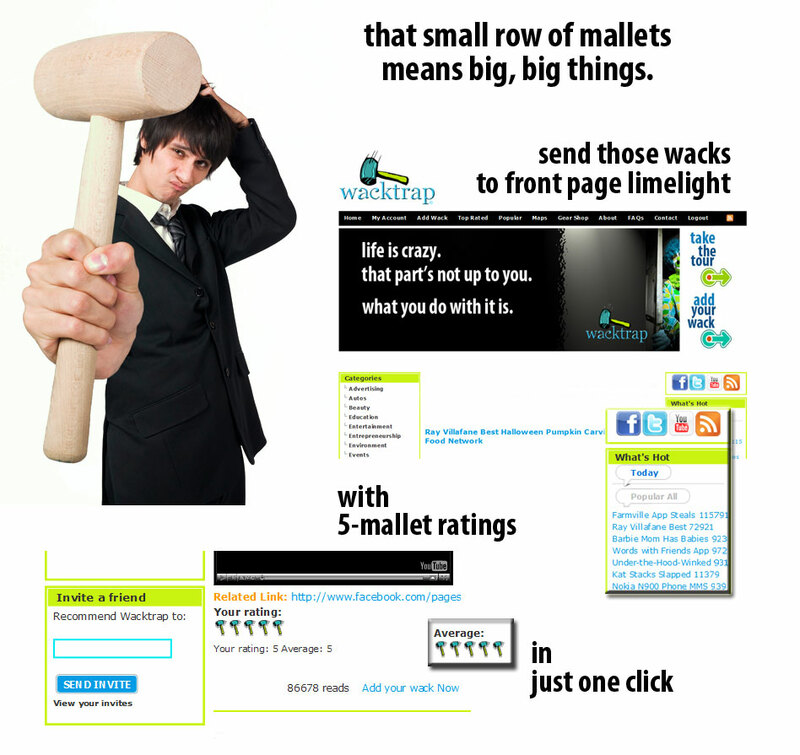 We invite you to post on Wacktrap and enjoy all the features of this site. To add a wack or post, you’ve gotta meet just two requirements: register for a Wacktrap account and be at least 14 years old. Visit our Wacktrap Terms to learn more.